This was one of those moments when I discovered the home that belongs to the master closet seen above. I've pinned and repinned that closet many times over the years, each time making a private promise to myself to achieve such closet perfection in my life. 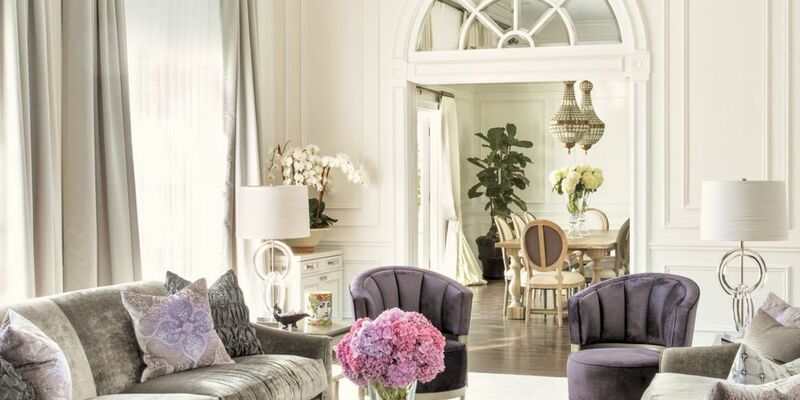 Yesterday I discovered the rest of the home on Luxe magazines's site. Designed by Smith Firestone Associates, this incredible Hollywood Hills home captures the elegance and glamour of a refined Paris estate white embracing California's easy, breezy vibe. The living room may lean toward the formal end of the spectrum with its shimmering velvet fabrics and lustrous metallic finishes, but the rest of the home is pure relaxed elegance. It will come as no surprise to you regular readers that I love it!